The CCEA (Cabinet Committee on Economic Affairs) has announced to extend the coverage offered under the PMRPY (Pradhan Mantri Rojgar Protsahan Yojana). The central government has stated that under the scheme it shall make contribution 100 percent for the period of initial three years from the date of registration by the fresh employee. As per the recommendations made, worker belonging to the informal sector will be offered with social security. This scheme is also focused on creating better job opportunities. For effective implementation of the scheme the central government has also stated that it has offered with provisions for registration via online application form. Candidate can now go through the guidelines at the time of registration officially on the web portal at www.pmrpy.gov.in. The central government has stated that the candidates who have been registered since April 1st 2016 are eligible for requesting for a New UAN (Universal Account Number) under the scheme. To take any benefit under the scheme it is obvious that the candidate must have a salary below Rs 15,000 or less on monthly basis. Apart from this each of the worker under the scheme can also avail the benefit of requesting for Social Security under Organized sector. The government has also stated that over 31 lakh beneficiaries have been added by the authorities for formal employment with an overall increased expenditure of Rs 500 crore. 12 percent contribution will be made by the government within the Garment, Textile and Apparel sector under extended scheme for remaining years. This drive will prove helpful in creating over 1 core additional job opportunities within unorganized sector. PMRPY benefits can be availed by all establishments that are officially registered with 1952 EPF act of EPFO. To get registered online you will have to visit the official website at https://unifiedportal-emp.epfindia.gov.in/epfo/public/olre/registerOwner. To get registered it is important that the establishments are expected to hold their LIN (Labor Identification Number) on official Shram Suvidha Portal at https://shramsuvidha.gov.in/home. You can collect more details related to LIN on the official website. You can also directly get connected to LIN using https://shramsuvidha.gov.in/knowyourlin.action from web browser. It is also important for employees to hold their valid Aadhar card based UAN. You can directly check it at https://unifiedportal.epfindia.gov.in/ and https://unifiedportal-mem.epfindia.gov.in/memberinterface/ for services and member interface. Benefits can also be availed by textile sector establishments who are holding valid NIC Code 1430 and 1410. 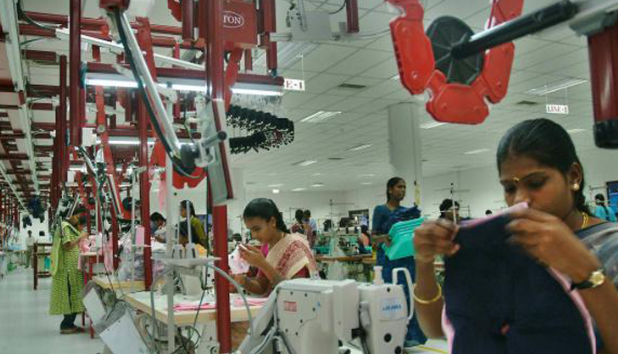 The government has also stated that garment and textile sectors shall bear EPF contribution and EPS equivalent to 3.67 percent and 8.33 percent for employments that are new. Interested candidates will also have to visit the official PMRPY website and get registered at the web portal officially in order to get the complete benefit. The government had introduced the PMRPY scheme back in 2016 August. Under the scheme the central government offers with 8.33 percent as employees contribution towards EPS. Apart from creating employment the scheme is also aimed at offering with incentives to the informal sector. You can officially log on to the official web site and go through the revised guidelines or visit directly at https://labour.gov.in/sites/default/files/PMRPY%20Revised%20Guidelines%20ver%202-1%20(2).pdf. Under the new revised guidelines informal sector employees registered after April 2016 and having salary not exceeding Rs 15,000 monthly are eligible for applying for UAN number online. The Ministry of Labour & Employment announced in August, 2018 that PMRPY has been successful in producing satisfactory results till now. The Pradhan Mantri Rojgar Protsahan Yojana or PMRPY was launched by central government in 2016-17 for encouraging people in generating self-employment. Reports suggest that till July 2018, the scheme has been successful in offering assistance to 61.12 lakhs. Andhra Pradesh is the state with the highest number of beneficiaries, while Goa is the state that has the lowest beneficiary number 4934. Apart from encouraging people to start their own ventures, it also creates new job opportunities, thereby curbing unemployment issues.